Cultural Compulsive Disorder: Who Remembers Maniac Mansion For Nintendo? 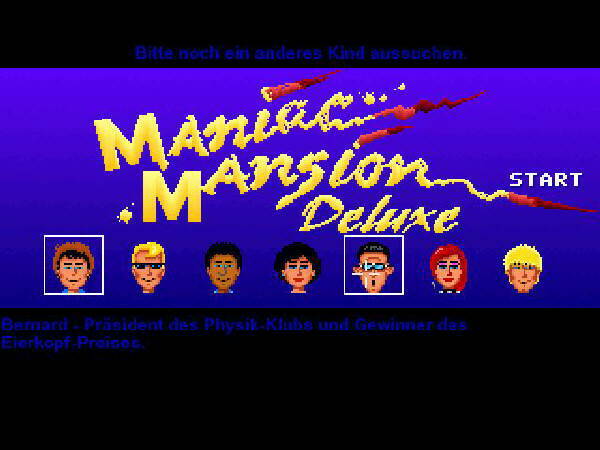 Who Remembers Maniac Mansion For Nintendo? Wow... Jeff Bond really took me back with this one. While I had hundreds of Nintendo cartridges throughout my young life, one of my faves was 'Maniac Mansion'. I loved the wacky adventures of David Miller & his friends trying to save his lost girlfriend Sandy Pantz from the evil Edison family. It's a love letter to B movies and the horror genre, and that makes it even cooler. The game was made by Lucasfilms (yeah, George Lucas was getting guap from all angles back then... #winning!!!) and was a critical success on the Commodore 64 before coming to Nintendo. The cut scenes & comedy were the best part of the game, because as with most Nintendo games the gameplay is meh at best. It was still one of our faves and a blueprint for many games that followed afterwards. 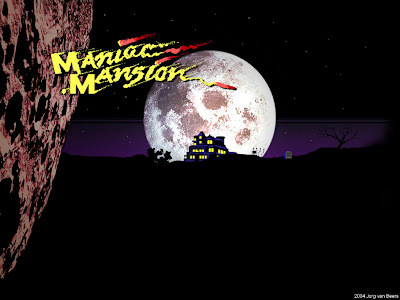 Check out The Man Cave right now for a full retrospective of 'Maniac Mansion'. These guys get in there. Thanks for the tip Jeffy. Think I'm going try and download this 8 bit classic from the Wii marketplace right now.